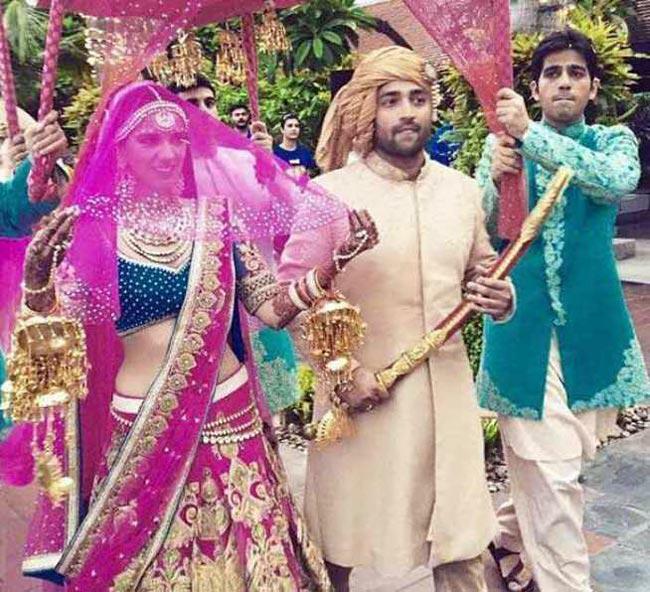 Young designer Nishka Lullas destination wedding to Dhruv Mehra was nothing short of a fairy tale. The wedding wardrobe designed by mom Neeta Lulla were all stunning as was the decor and attention to detail all caught via lens of team wedding nama . 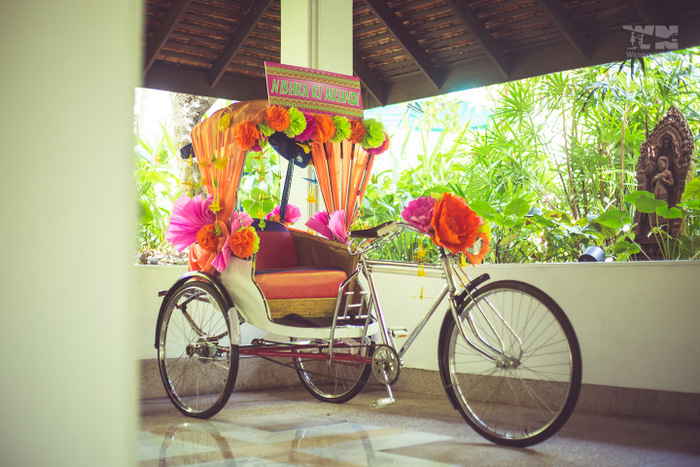 The rickshaw Photo Op : This trend isnt new and we have seen it quiet a few wedding in the recent past but Nishka and Dhruv totally stole the show with their choice of colours. Both dressed in yellow while the rickshaw had bright fun colors to complement with Nishka ki mehendi printed on it . Perfect Photo Op this rickhshaw go hire one for your wedding and make sure you parade around the mehendi venue with your would be hubby in it . Bridal entry in a fuschia pink trail veil: Nishka Lulla had a dream wedding with everything planned to perfection and so was her bridal entry where in she entered on a shikara in water with a long pink veil with trail behind her. The ghoongat or the veil idea is my favorite one and i feel every bride should incorporate this in their wedding look as wedding the only time when you get to wear the veil without looking gimmiky . You may not go to the dramatic lengths of entering on a shikara but you can definitely try the trail veil for your wedding. 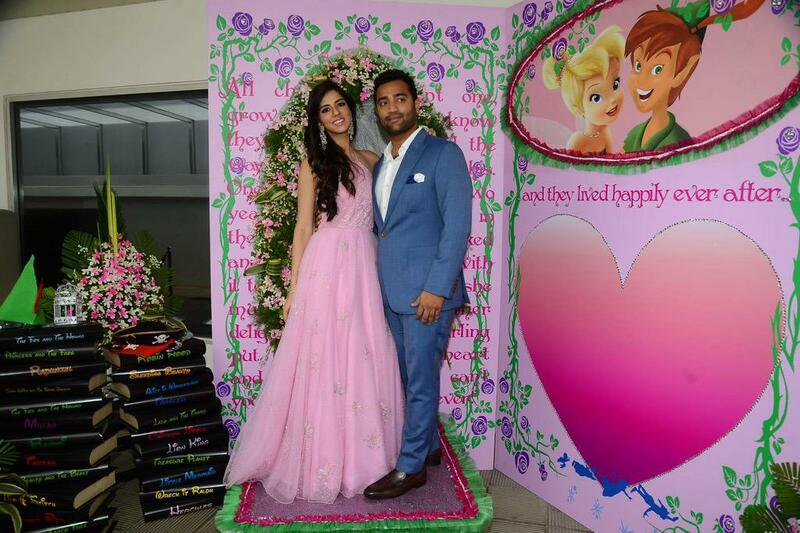 The subtle Bride-Groom colour co-ordination : All through the Wedding Nishka And Dhruv had subtle co ordination of their outfits without going too matchy matchy . This couple sure do show us how a Bride and groom should properly co -ordinate outfits for the Big day . 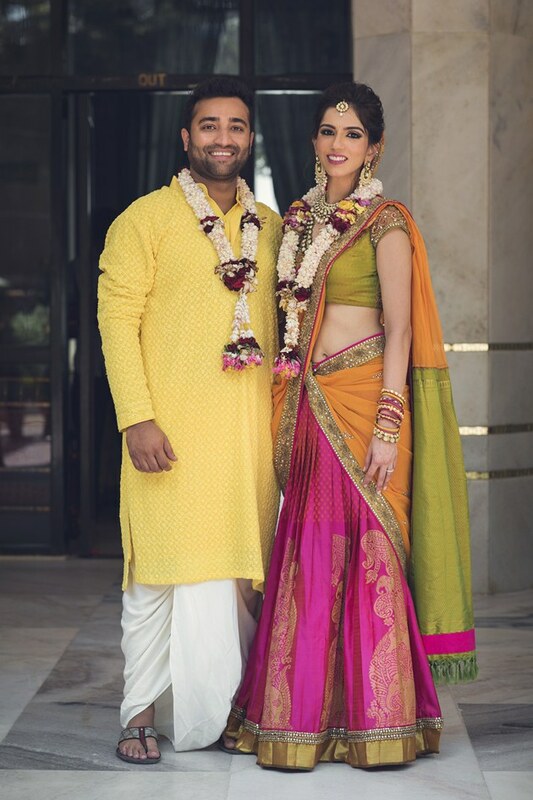 Perfect summer wedding colours : For their temple wedding Dhruv and Nishka wore the perfect blend of vibrant colours . Love how summery and simple their outfits were . If you are having a summer wedding sticking to this colour pallet is the right way to go. She-Commerce ! Online shopping Hauls & Tips ! Shopping, Dressing ,De-tanning & Wedding Bliss!